No bumping, no stooping, this 20-Volt MAX* Lithium 10-in. 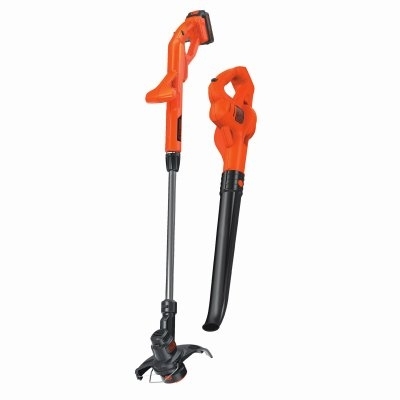 String Trimmer/Edger and Hard Surface Sweeper Combo Kit from Black and Decker allows you to trim, edge and sweep for a neatly groomed look. Lightweight and quiet, it trims overgrowth, edges borders and clears debris with ease.